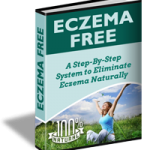 HomeEczemaWhat Can be Done for Eczema in Babies? She won’t stop crying! You’ve tried everything you know of to do. She’s been fed, changed, burped, rocked, sung to, rocked again, fed again, tieoasdn, qweu, asdfa, asda; after a while it all just seems to run together and make no sense. That’s when you notice it, the rash that wasn’t there yesterday. How could you have missed it? Don’t beat yourself up. When babies contract Eczema it is both difficult and more common than you know. Take heart! There is hope! Eczema in Babies: What causes it? No one really knows. 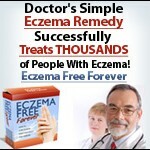 It is thought that Eczema is caused by a malfunction in the immune system that is triggered by certain factors. Heredity – This appears to be a major predictor of Eczema. If a parent has the condition, then it is much more likely that a child will get it. Eczema parents should keep a close eye out and use all precautionary measures. Creams, Lotions, Detergents, etc. – Eczema in babies does seem to be triggered at some point. Contact with a particularly abrasive or irritating substance can start the process. Stress – Babies with high levels of stress agitate more and can lead to onset. Heat and Sweat – Once again an uncomfortable situation seems to trigger Eczema in babies. All care should be taken to make sure they are in a clean, stress-free environment. While it appears that some babies are likely, even certain to get Eczema (depending on your source, 10-30% of infants have it,) there are things you can do to prevent the likelihood of an outbreak. You’ve heard an ounce of prevention is worth a pound of cure, well that may be true with Eczema in babies, but more so, after the fact. Eczema in Babies: What to Do About It? Eczema in babies, once it shows up. Many of the measures a parent can take involve the bathing and clothing of the infant. Use body soaps that are unscented and non-irritating. The fancy, “special” soaps can often lead to irritating Eczema in babies. Don’t use soap in any areas that aren’t dirty. Unless you’re rolling your baby in the mud, you only need to soap up the areas of obvious dirt. Simple warm water will suffice everywhere else. Don’t scrub on baby’s skin. Often “sticklers” for cleanliness want a smooth clean surface, but the rubbing may actually be excruciating for the baby and cause more itching. Use a patting motion during bathing and drying, and only take off obviously dead and sloughing skin. Ask your doctor about Oatmeal soaking products which can retard itching. Apply a doctor recommended moisturizer immediately after bathing your baby. This can seal in moisture vital to repairing Eczema in babies. Tight or ill-fitting clothing can be a major instigator of itching, which is the enemy when it comes to Eczema in babies. Loose, well fitted clothing can go a long way to help you prevent persistent scratching. Wash all clothes, new and old, before putting them on baby. Remember hot and sweaty are bad. Now, you don’t want your little bundle to freeze, so you’ll have to experiment and find the right balance when it comes to, how much to bundle up your bundle; with both clothing and blankets at night. In this article we have discussed what you can do to help your baby during and after their bathing routine. There are other things that can be done for Eczema in babies, but most require medical supervision. That being said, the most important thing you can do to help your child is consult a physician as soon as you see signs, or even have questions about Eczema in babies. OK, I know that had nothing to do with Eczema, but is that not priceless?!?! True or False: Heredity plays no part in Eczema in babies. Eczema runs in my family. My mother would get it bad after just a little exposure to the sun. I get it in the crooks or my elbows and knees. And my little girl gets it on her hands although we think we know the cause of that – she gets it worse when she eats microwave popcorn from the bag. The oils and salt that touch the tops of her hands when she reaches into the bag cause itching which seems to bring on the eczema. That’s good information Stephanie. I’ll bet there are others who can test to see if they notice the same things you did about Microwave Popcorn. Thanks for sharing.